The Primitive way enters Galicia via the peak of Acebo, at 1,100 metres above sea level, amid sweeping views, demonstrating the traditional spoken image of a place filled with ancient mountains, soft and rounded. In O Acebo there is a bar/shop with varied opening hours and prices. In this place pilgrims beginning the Camino can receive their first stamp on the Credential, a necessity to sleep in the Albergues. Those coming from Asturias can regain strength after the long ascent of Acebo. The Primitive way abandons O Acebo close to the bar, passes Cabreira, a hamlet without services. Later it passes Fonfría and the refuge of Castro Ventos, a restaurant with a good reputation. 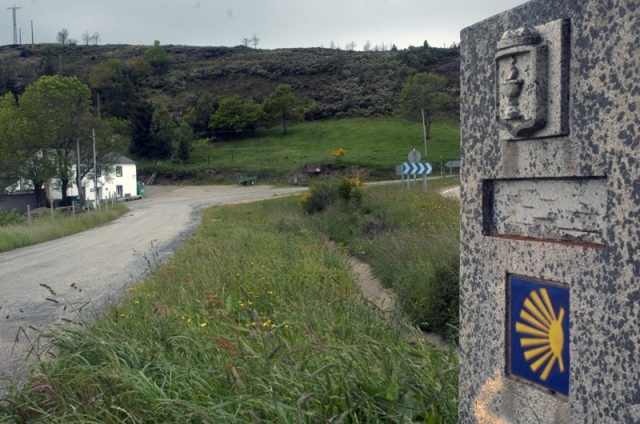 The route then reaches Paradanova; a location situated just one kilometre by road from A Fonsagrada, where the guesthouse and restaurant Manolo can be found. To go to A Pobra do Burón there are no signposts. How to get there? Well, via the shell signs that signal the route from Paradanova towards the municipal capital, that is by crossing the LU-630 and going up a track until reaching a mill with the ruins of a castle. In exceptional surroundings hikers will not find services, if this variant is chosen pilgrims should return to Fonsagrada to find accommodation and supplies, alternatively they can go to the nearby rural establishment of A Casa da Bastida. An old farmhouse converted into rural apartments. The contact phone numbers are: (+34) 982 340 438 and (+34) 692 247 69. The Primitive route does not return towards A Fonsagrada from Pobra of Burón but rather it continues to Hospital de Montouto. 1 reviews Distance to Santiago: 170 km.